Nice scent, stops odour for around 1 – 2 days for me, effective deodrant. I’ve been using this product for the last two weeks and it’s been fantastic. 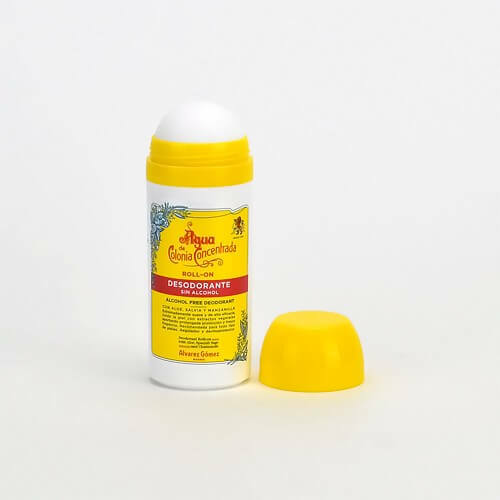 It’s an excellent deodorant that lasts easily all day and has a subtle and pleasant citrus scent. I highly recommend this product. A very good deodorant with a lovely fresh citrus scent which lasts all day. great scent, fresh and citrus. Gorgeous smelling Agua De Colonia roll-on! Really effective and love the old school packaging. Good price and speedy postage. Thanks! Way better than the generic smelling usual deo’s. Been using it for a few years now, love it. Works well and smells good too.